No word on where Roy or the white tigers are though. Soul Calibur 6 isn't here quite yet, but information on Bandai Namco's long-running fighting series has been slowly leaking week by week. While a handful of fighters have already been shown off, including a cameo from The Witcher's own Geralt of Rivia there's still a ton of blank spaces on the character selection screen that has yet to be revealed. Today, though one of those spots have been filled by none other than Siegfried himself. 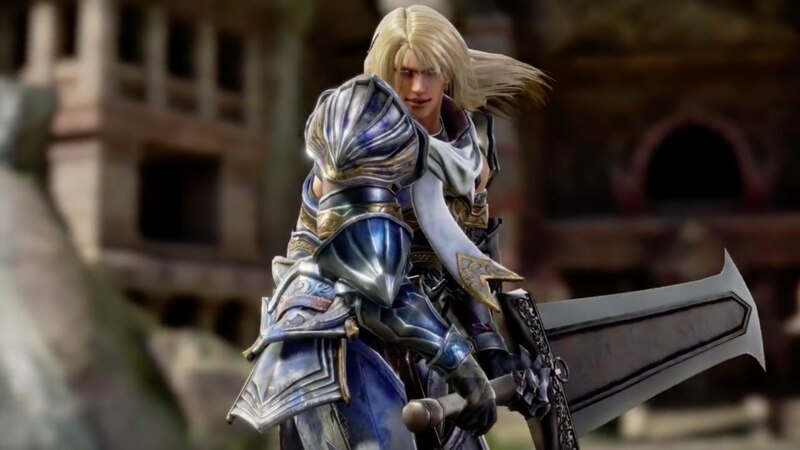 The inclusion of Siegfried should come as no surprise to fans of the series as he's one of only three characters who have made an appearance in every single iteration of Soul Calibur. "After losing to Kilik and his comrades in the form of Nightmare, Siegfried awoke in an unfamiliar place and he is now unable to free himself from the unforgiving memories of his time spent as the cursed sword's puppet. The memory of having killed his own father is haunting him. His true nightmare has only just begun…Full of regrets, he is looking for redemption and he desperately wants to free himself from the cursed sword's grasp!" You can check out a brief glimpse of Siegfried in action in the trailer below. For more details on Soul Calibur 6, be sure to check out our preview coverage and gameplay footage. Soul Calibur 6 is set to launch on PS4, Xbox One, and PC later this year, but it does not have a solid release date just yet.